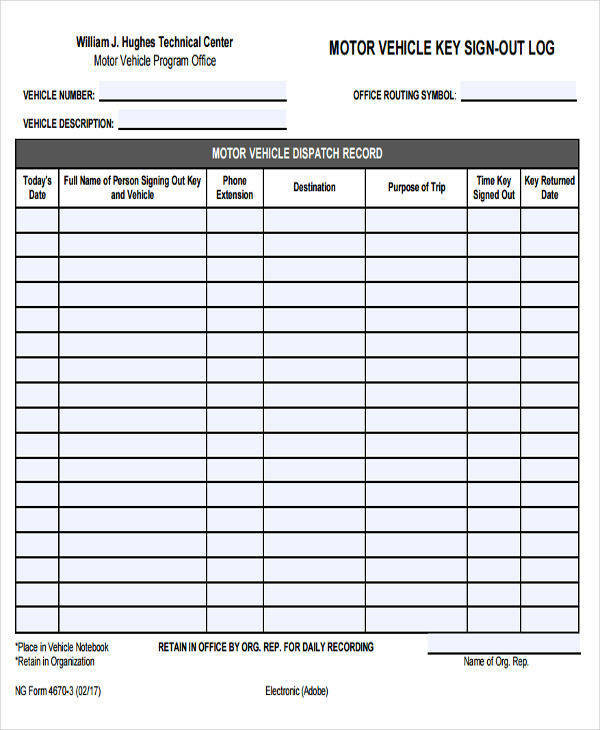 Creating a log is important to be able to record various information depending on the type of log that is being made. For example, a daily log is a type of document that is used to record tasks, activities, or events that happen on a daily basis. What Is a Key Log? In businesses, organizations, and other entities, keys are important devices used to access the different departments that a company has. Key logs are sheets or documents that are used to record and monitor all the keys that a particular company has. For example, if an individual needs to access a certain area in a company that needs a key, he/she will need to fill out a key log in order to keep a record of the person who has used that particular key. This is to ensure that all the borrowed keys will be accounted for. 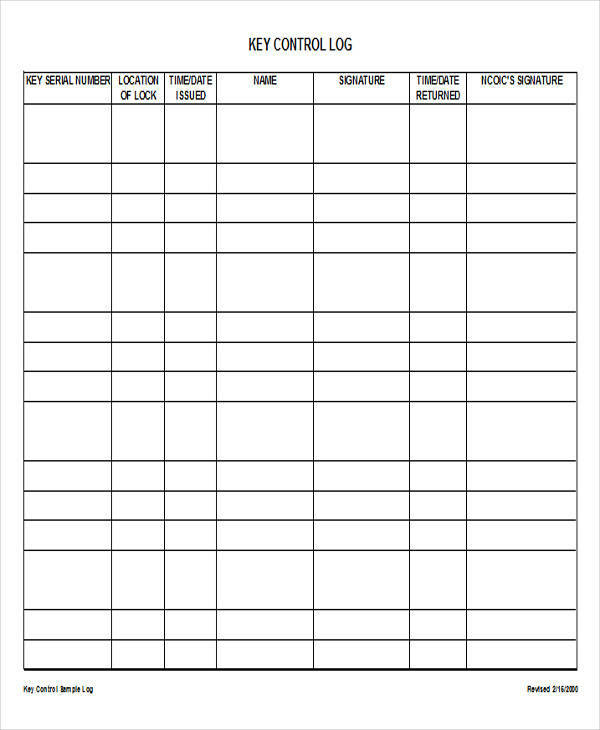 In addition, decision log templates and password log templates are also available on this site should you need one specifically. 1. Create a table and divide it into several columns and rows. You can also download from our key log template in word to help you start creating your key log. 2. Write a title in your document. 3. 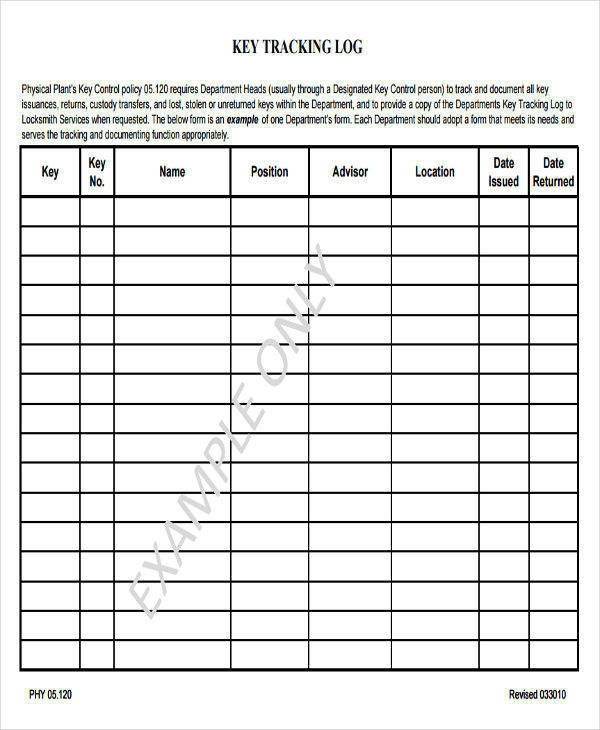 In the table that you have created, write the information or data such as the key serial number, location of the lock, the date and time the key was issued, the name of the individual and his/her signature.You may also see research log samples. 4. Include the time and date the key was returned by the individual. 5. 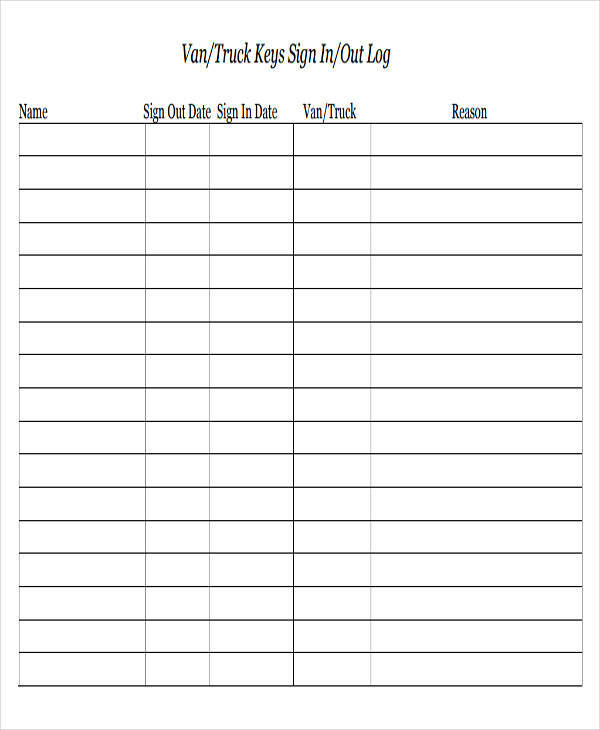 Also, write the name and signature of the authorized person who has approved the log.You may also see travel log templates. What Are the Uses of Key Log Templates? 1. 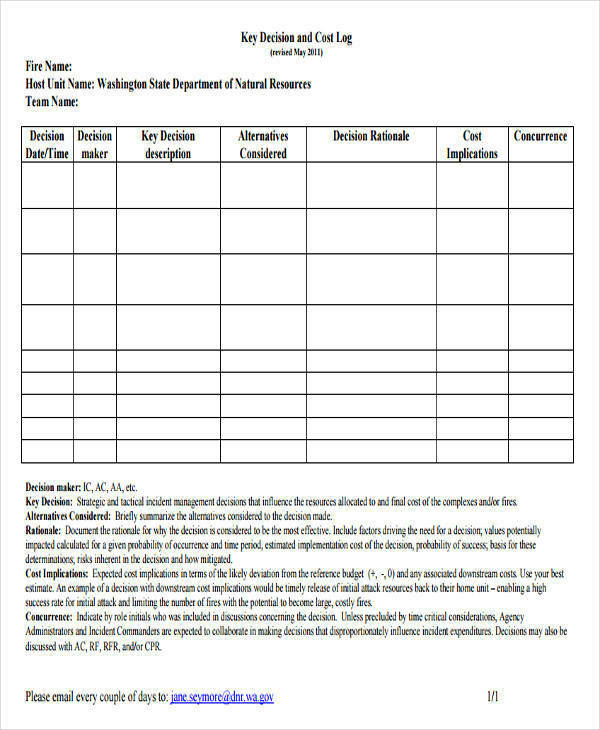 A key log template or any type of log template, such as a daily log template, is a useful document that can be used as reference for when you are outlining or formatting your document.You may also see decision log templates. 2. 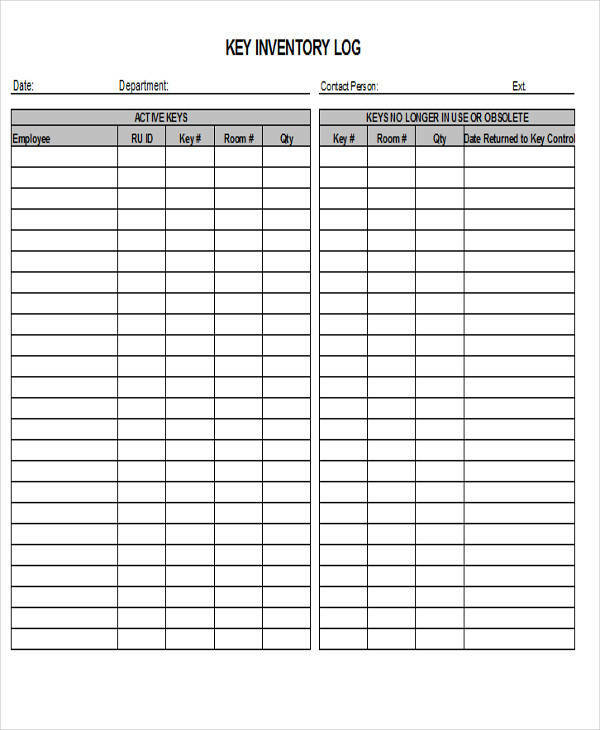 A well-made key log template will ensure that you will have an effective document for monitoring and tracking the various keys that are going in and out of a particular department.You may also see maintenance log templates. 3. 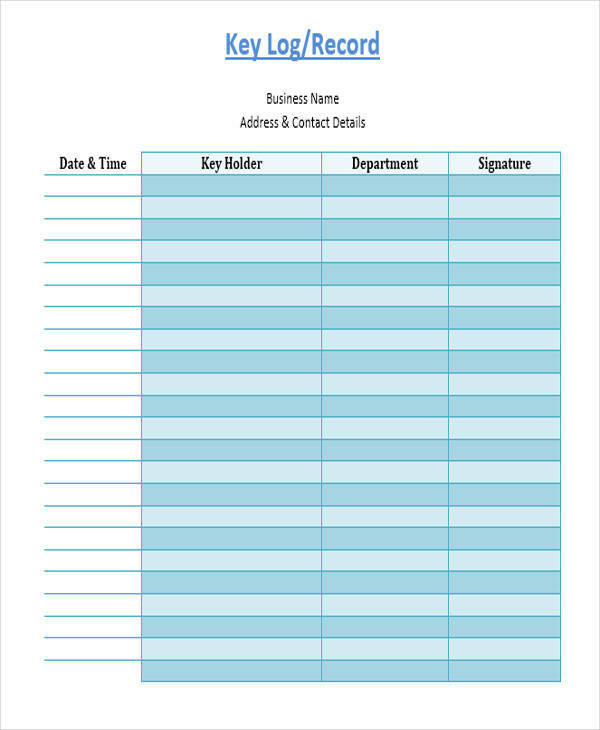 Through a key log template, it will provide you with a convenient way of creating your document.You may also see visitor log templates. 4. Using a key log template assures that the key log being created contains all the important information needed in a key log.You may also see expense log templates. What Is the Importance of a Key Log? 1. A key log is important to be able to track and monitor the keys being used during a particular period of time. 2. 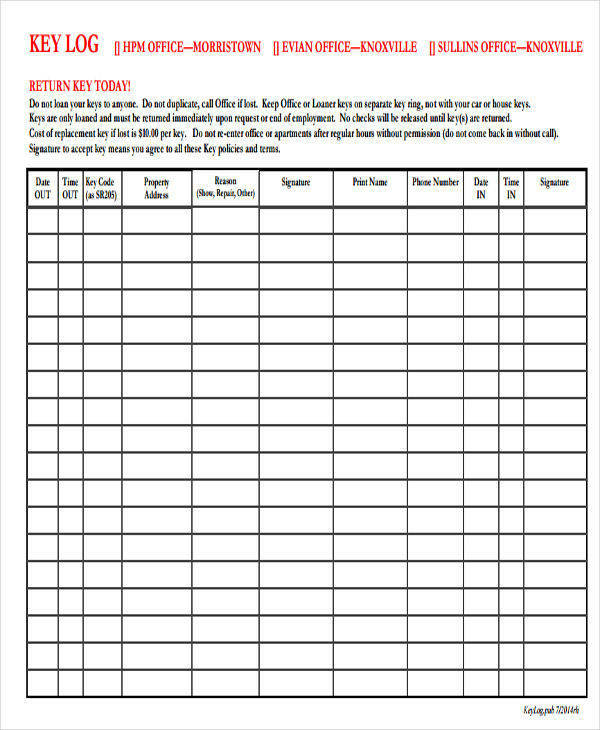 It is important in reporting lost or stolen keys in the company.You may also see time log templates. 3. It helps identify and track the individuals who are liable for any lost or stolen keys. 4. 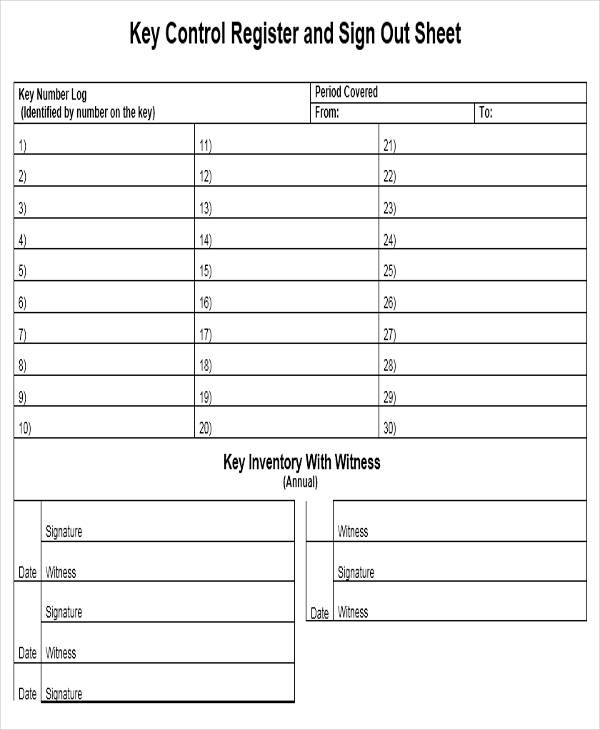 It keeps track of any issued and returned keys.You may also see running log templates.